5 stars - Excellent! 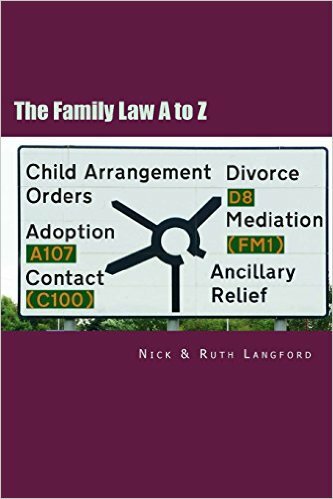 A must-have for any law student, adviser, paralegal but especially anyone who is representing themselves through the turmoil of the divorce process or the family court, either for child issues or ancillary relief. This has proved to be invaluable for me as a community adviser. And for less than £15, it's a steal. 5 stars - An absolutely fantastic reference book representing great value for money. 5 stars - So helpful. A must have for any LIP or law student. 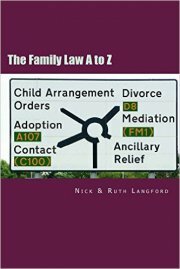 For the cost of a few glossy magazines you get a comprehensive plain English explanation of hundreds of legal terms covering all family law and more, easy to use and read, includes examples, case and statue law references, a good article on how to build a bundle for court hearings, it even includes explanations of seldom seen issues such as Barder events Edgar agreements, the book will save hours of Internet searching, the cheapest and best value Legal text book I have ever bought. A must have for any LIP or law student, easy to read and understand and covers just about every legal term with plain English definitions, case law and examples included, probably the best explanation of a Barder event I have read, a nice article on how to build a court bundle, 440 pages for the price of a cheap novel, the cheapest law book I have ever purchased and the best value for money.